Dark walnut color. Aromas of toasted nuts, fresh baked sweet bread, and herbed cornbread stuffing with a round, crisp, finely carbonated, dryish full body and a peppery, medium-length espresso, crema, smokehouse almonds, and mixed peppercorns finish. A rich and toasty lager for the cooler months. Bottom Line: A rich and toasty lager for the cooler months. Eisbocks are amber to dark brown in color and range in alcohol from 8.5-14%. This is the strongest type of bock. It is made by chilling a doppelbock until ice is formed. 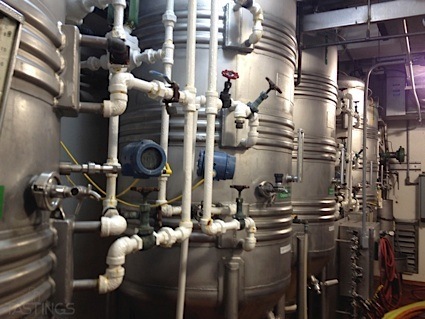 At this point, the ice is removed, leaving behind a beer with a higher alcohol content. The resultant beer is rich and powerful, with a pronounced malt sweetness and a warm alcoholic finish. Noteworthy examples of this style include: Capital EisPhyre, Vancouver Island Hermannator Ice Bock and Kulmbacher Eisbock. 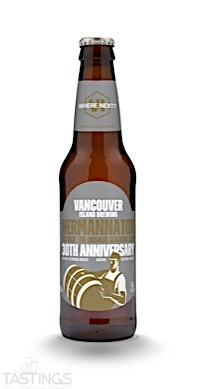 Vancouver Island Brewing Hermannator 30th Anniversary Ice Bock rating was calculated by tastings.com to be 91 points out of 100 on 11/14/2017. Please note that MSRP may have changed since the date of our review.